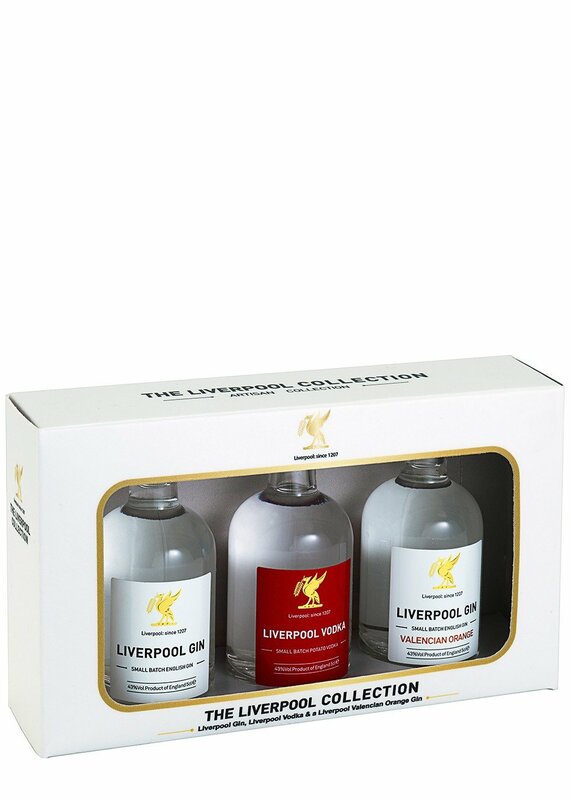 Included is the flagship, juniper-driven and 100% organic Liverpool Gin; the zesty Liverpool Valencian Orange Gin; and the super-smooth Liverpool Vodka. They may be pocket-sized, but their appeal is massive! 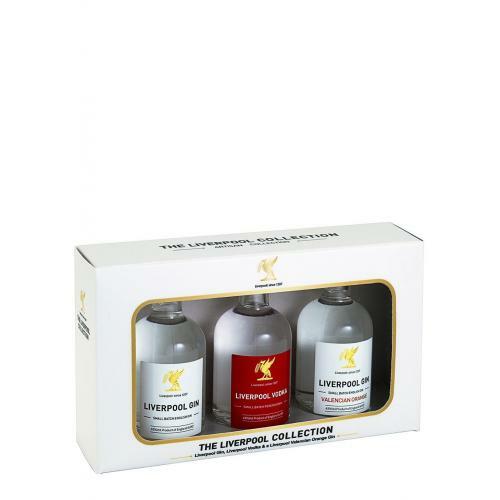 Liverpool Valencia Orange combines Liverpool Gin's highly distinctive and complex base with the zesty, citrus notes of fresh Valencian oranges. Plenty of fragrant juniper with some spicy cereal and vibrant citrus. Nose: Black peppercorns, and freshly grated Sicilian lemon peel provide spicy bright top notes, balanced with hints of sugared almonds and bonfire toffee. Palate: Creamy white chocolate with vanilla pods, and pine nut hints. Finish: Full and smooth, cracked black pepper with freshly whipped cream and lemon balm/mint.